Cigar accessories from James J.  Fox seek to celebrate our specialist cigars and all elements involved by catering these to your individual taste. Whether you buy cigar accessories to distinguish between various ranges, or for the careful storing of your collections, there is an accessory to make this process a little easier, smoother and more personal. Often, cigars are a long-standing interest in one’s life, and one that deserves to continue regardless of your global location; along with travel humidors, many of our humidor accessories are available in sizes to suit the portable element without losing the quality and functionality. From the novice smoker to the experienced, cigar accessories can be appreciated for their ability to continuously help you achieve a perfect smoke tailored to your taste. Whilst great lengths of time are spent finding the perfect smoke for your individual tastes, enjoyment can also be found in cigar accessories by broadening your expertise of cigar history and characteristics via our range of informative literature, also ideal for informing an individual of matching specifications prior to purchase. Cigar accessories help to celebrate the enjoyment in many other practical forms too. Aligning the smoke of your chosen cigar to your individual taste can be achieved with our luxurious and refined cigar cutters; personalised to size, shape and preference, they make a significant impact on the intensity and flavour of the smoke produced. Of course, keeping your cigars secure and protected on the go was an important influence on our range of cigar accessories, and our genuine leather cigar cases do exactly this with an air of style and sophistication. Finally, everyday cigar accessories, such as the collection of S.T. Dupont lighters, are responsible for performing the perfect light every time, all the time, to complement the smooth smoke of the cigar. With little maintenance required and a strong resistance to scratches, friction and general wear, the contemporary design will retain its original sleek style far into its future. Cigar gift sets are a great way to say thank you or to treat someone to a special and thoughtful gift for an occasion. Whether it is a cigar ashtray, cutter or case, amongst many other products, the fashion meets function character of our cigar accessories creates an appeal and a lasting-memory. With over 220 years in the cigar industry, our dedicated team are very knowledgeable when it comes to all things cigars and are more than happy to help you know more too. Simply get in touch with us through email, by completing our online contact form or by calling 0207 930 3787. If you would like to visit us in-store to buy cigar accessories you can find us at any one of our London stores.